I don’t normally post many work/slave songs for several reasons, but mainly because they tend to sound the same – and not very dynamic. This track recorded by Alan Lomax on one of his prison trips might be the best work song I’ve heard. Preformed by Jesse Bradey, an inmate at the State Penn in Huntsville,and accompanied by several other unknown inmates they harmonize perfectly and have a certain musical depth that’s often missing from these types of recordings. I’ve made several clarifications to the donations and blues video pages. The suggested donation for the site is 5 dollars, but if that seems steep feel free to donate whatever you can. Blues videos are only available to donors only to keep the bandwidth use down. I tend to not check the comments pages over there so email or comment on the main page for quicker response time. Walter Beasley and Sylvester Weaver are two of the finest guitar players of the pre-war era. They both had long careers both as solo players as well as session players, they also recorded a handful of slide guitar duets, a rarity in pre-war blues. This track Soft Steel Piston is a great instrumental track filled with not only great instrumentation by both guitar wizards, but also filled with a very strong blues emotion something that a lot of pre and post war blues instrumentals miss out on. If you haven’t checked out Crud Crud, you are missing out, they’ve been posting some of the greatest/weirdest musical finds from the bargain bins. Also Document Records has announced plans to digitize their entire collection (meaning almost every pre-war blues song recorded) and offer it for sale on emusic.com. The link on the webpage just leads to a blank page so far, but it would be interesting to see how much goes up and what sort of response it would receive. Today’s track is from Curtis Jones a session piano player for most of his recording career cut a bunch of really solid piano blues tracks starting with this session in Chicago in 1939. this track “My Baby’s Blues” features some fine steady drumming and some wonderful piano work by Jones. This is a perfect gloomy Tuesday track. For the Greensboro residents that read Honey or (HWYBSL as the kids called it) the Weatherspoon Art Museum is having “Juke Joint” film festival through out July. This festival is a great example of people who on view the blues in terms of the effects it had on Robert Johnson and Muddy Waters. What a waste, especially considering there many great locally produced documentaries focusing on the blues development in the Piedmont area of North Carolina. Mamie Smith is most famous for recording the first blues song “Crazy Blues” in the early 20s. Most history of the blues jump from there to Ma Rainey and the increasing popularity of the blues in America and forget about Mamie Smith. This track “Jenny’s Ball” was recorded in 31 almost 10 years after “Crazy Blues,” Mamie was still popular but her time had clearly passed. Listening to “Jenny’s Ball” it’s clear that Mamie was a huge talent – and whose voice was the standard for almost every female blues singer recorded. Sorry about yesterday sometimes the days slip by, but today’s update will make up for it. We have in store some really good mixes by good friends of mine, it’s going to be great. Also keep the suggestions about Washington, DC places to see, I’m hoping to catch Wanda Jackson on the 8th, but that’s all I’ve really seen event-wise. Today’s track is by my all time favorite country music duo – Porter Wagner and Dolly Parton. They did a bunch of songs together and told a bunch of stories and most of them ended badly – but this one, “Mommie Ain’t That Daddy,” might be my favorite because it has a great spoken ending by Porter and the songwriting it top notch. It appears that the server was down for a time yesterday, hopefully this won’t be a regular thing. I’m finally going to Washington, D.C in a few weeks, If anyone has any suggestions about good record stores in the city let me know, also anything that’s going on – blues or otherwise from 7/8 – 7/11. 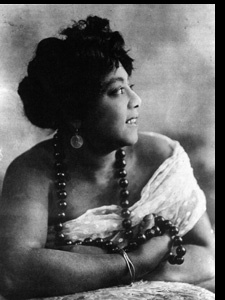 Clara Smith is one of the best and most tragic figures in blues history. Starting out on the Vaudeville circuit in South Carolina, Clara’s voice and attitude made her one of the biggest stars of the time. Back mostly by the amazing Fletcher Henderson on piano she has recorded some of the best blues songs second to only Sara Martin and Bessie Smith. Unfortunately in 1935 she had a heart attack and died – cutting her life down in her prime. This track is a mean mean murder ballad recorded in 1924, it features a wonderful vocal performance by Clara. I got the new Joan Crawford box set in the mail today and to my dismay they didn’t repress Mildred Pierce! It’s the same double sided dvd as the old release, now I’m not asking for a new mastering job of the video (it still looks pretty good) but I mean the rest of the discs are dual layered, it couldn’t of been that hard to update the disc. Has anyone heard the new Charley Patton Yazoo disc where they master the discs just a little bit slower and it apparently improves the quality and clarity of the recordings a whole lot? Today’s track is by request – Memphis Minnie – Kissing In The Dark. I often get obsessed with uncovering smaller blues artists that only recorded a few tracks that I over look posting about some of the bigger names (We really need to have another Lonnie Johnson week) so this request comes at a good time. I have posted about Memphis Minnie before, but not nearly as often as she should be – the first track Kid Man Blues shows Minnie at her most humorous and as a blues singer – backed by some solid instrumentation – and Minnie doing her own “snoring” effects. The second track by request is Kissing In The Dark in an up tempo post-war track that’s a lot of fun, but Minnie’s sleepy vocals don’t help the track any. After many false starts Volume One of the Honey, Where You Been So Long mix tape series is available for download. A HUGE thanks should be extended to Chris Day whose tireless hours with EAC produced a good sounding copy of the mix from a poorly produced cd. Today’s track is from Rev. Moses Mason whose rendition of John The Baptist is one of the highlights of the Anthology Of Folk Music. This track, Molly Man, features Moses at his best, very spirited and back by a sporadic banjo plucking. This track is one of the few secular tracks he recorded under the awkward name of “Red Hot Ole Mose.” This track reminds me a lot of Washington Phillips though with a little Gary Davis or Ed Bell vocally. I will be uploading a few things to the donor’s page this weekend so keep your eyes peeled. If you run short on time, remember that a donation in the name of someone to a charitable organization such as prewarblues.org makes a great Father’s Day gift ! I’m getting my Dad two of them. I was going to do a Father’s day theme song but I don’t really know of many non-Cat Steven’s songs about father’s so here is a wonderful track by Esther Marrow belting out a track about her Mama and her wisdom. What a powerful voice – this is one of my favorite tracks to embarrass myself by singing out loud – but it’s hard not to try to hit all those Mamas as the strings swell. So I guess the RSS feed works for mostly everyone and it’s great that bloglines is finally re-listing us, now to get web nymph and all those other kids on board. John Henry Barbee has one of the best blues names I’ve seen – he also is a very solid guitar player and a wonderful lyricist. This track Six Weeks Old Blues is one of the meanest songs I’ve ever heard(even more so than Charley Jordan’s Cutting My ABCs). The song is a history of the women in his life starting out with his mom kicking him out when he was six weeks old and progressing through his interactions with other woman who treat him wrong. And his anger toward them – it’s a hard listen in parts – but quite revelatory.